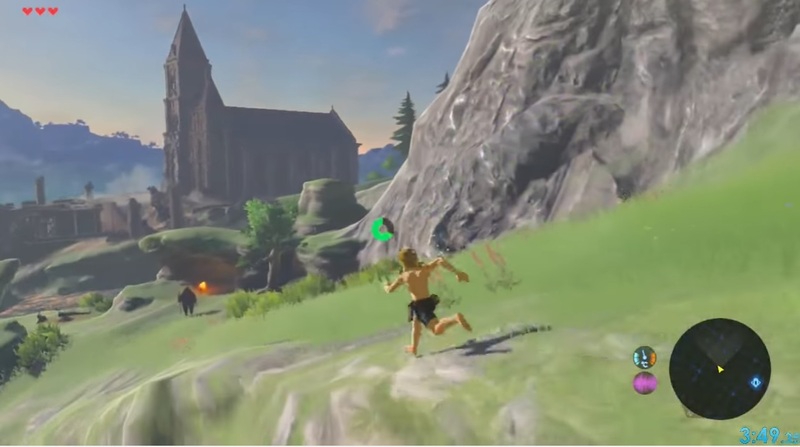 After getting off the tutorial island for Zelda: Breath of the Wild, as I was running toward the final dungeon at the start of the game, I started to smile. The speedrun potential is strong with this new iteration, and with tons of collaborating before and after its launch, folks are already discovering new ways to approach the game. In addition to some sick "floating off cliffs onto horses" action, there's also a new mechanic called "whistle sprinting." It's such a minor thing, but by holding down the d-pad while throttling sprint, you can move a tiny bit faster. Beyond that it's some memorization of the best routes to the shrines and into the castle (watch the sick move at 27:00), and pure skill to complete the final encounter(s). I noticed that several runners take detours through the castle to stock up on a ton of weapons, which might be optimized in the future. As we speak, new records are being set, but this one is notable for not using amiibo (which a few runs have used, and have caused a minor controversy over). For those who are curious, playing on Wii U will shave roughly 30 seconds off your time, and playing in German will save about 10 seconds. Seeing this run just makes me want to start all over again!